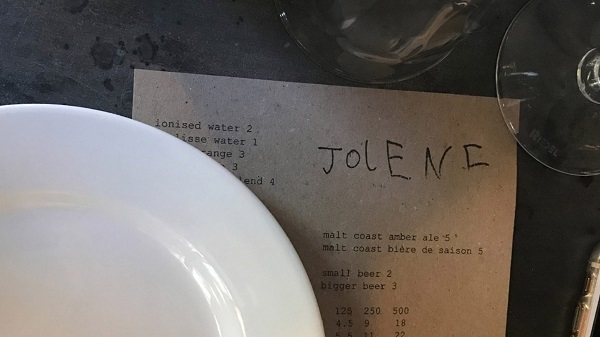 North London restaurant Jolene has adopted an adorable scribbling of a young boy for its logo. The restaurant enlisted the services of graphic design firm Studio Frith to give it a new brand identity that “provokes the naïve simplicity.” In response, the studio’s founder, Frith Kerr, unexpectedly turned to her six-year-old son. From a selection of samples produced by the child, Kerr settled on a mix of writing in lower and upper cases, a distinctive mark of a young child. The final logotype was chosen for its “inimitable spacing,” as well as “the crescendo of elegant sans-serif capital letterforms,” Kerr added. 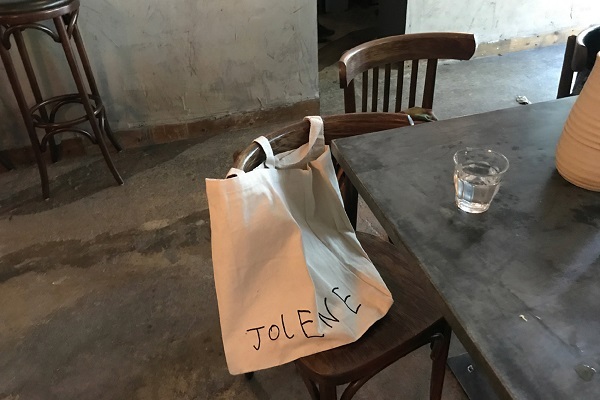 Since then, the new wordmark has been applied on Jolene’s canvas totes, as well as its paper carrier bags. It is also displayed in the interiors of the restaurant and its menu. 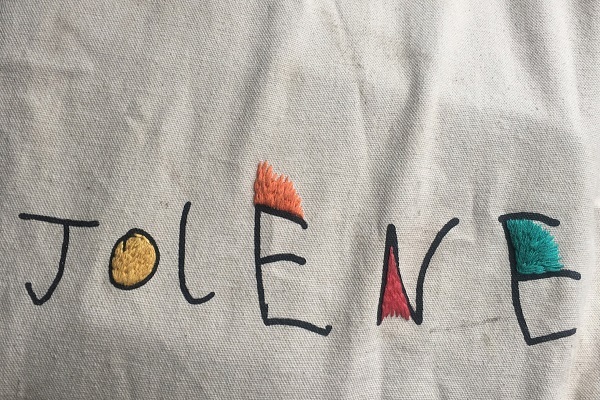 According to Studio Frith, the handwritten aesthetic of the logo brings it a touch of versatility, which means it can be printed on a menu or embroidered onto a curtain without looking out of place. 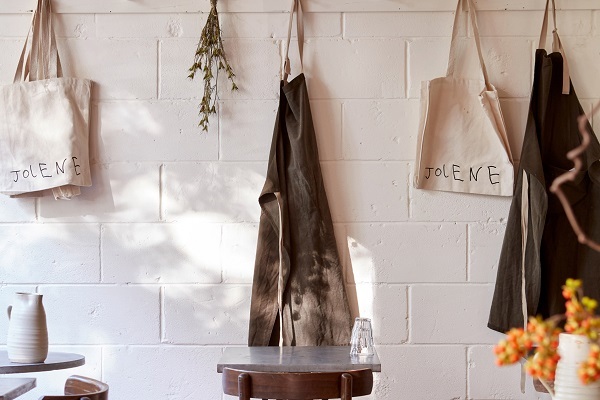 The logotype also complements the overall aesthetic of the restaurant, which has unpainted plaster walls, in addition to being decorated in neutral hues and simple bentwood chairs. 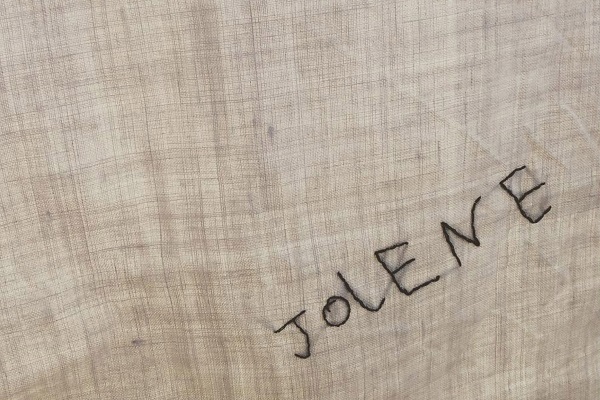 Most of all, the raw depiction reflects Jolene’s values. The restaurant promotes sustainable farming methods, which restaurateur Jeremie Cometto-Lingenheim wished to translate in the new logo. He could not have been happier with the final, hand-drawn result.